Led Zeppelin were an English rock band formed in London in 1968. The band consisted of guitarist Jimmy Page, singer Robert Plant, bassist and keyboardist John Paul Jones, and drummer John Bonham. The group’s heavy, guitar-driven sound, rooted in blues on their early albums, has drawn them recognition as one of the progenitors of heavy metal, though their unique style drew from a wide variety of influences, including folk music. 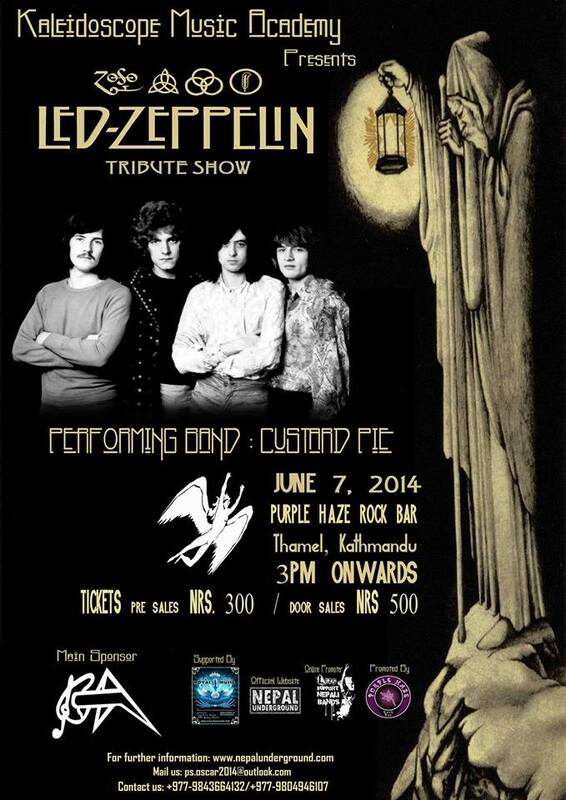 We are doing a tribute show in the name of “Led Zeppelin” this June to fulfill the music wants & desire of all the Led Zeppelin fans out here in Nepal. Pre Sales Tickets shall be available soon.